Caitlyn Hardi is on a mission…a suicide mission. Driven by the pain of the past, she sets out to confront the monster deep in the Catacombs of Paris—the one who took everything from her. Caitlyn doesn’t care if she survives Paris. Her only concern is that the vampire who made her does not take another family from her. If dying means keeping everyone she loves safe—especially Donnie—then Caitlyn can accept that…as long as she can take her maker to Hell with her. Donnie O’Carroll began to live the moment Caitlyn made him a vampire. Caitlyn gave him a family, a purpose, and he’ll be damned if he’s going to allow the darkness to overwhelm the woman he loves. He will fight to the end to prove to Caitlyn that love can conquer all—even if he has to die to do it. 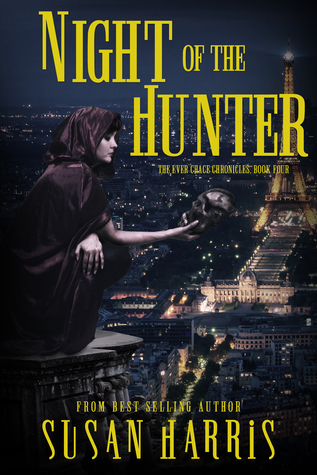 Sacrifice, a supernatural assassin, and immortal love are on a cosmic collision course in this powerful fourth installment of the Ever Chace Chronicles. Grab book 1 – Skin and Bones – for FREE! Kenzie spun round and laid eyes on the most beautiful man she had ever seen. A tumble of dark hair caressed his shoulders. When he stepped into the light, it was a rich brown, almost with an undertone of red beneath the dark. His eyes were of the same reddish-brown tint, with an expression that sent warnings of danger throughout Kenzie’s entire body. He was imposing, standing in the doorway, a leather duster coat dipping into the blood-soaked carpet that made Kenzie want to tell him to lift it up so it wouldn’t get damaged. “Who are you?” she asked as the stranger’s full lips curved into a small smile. The stranger stepped forward and cupped her cheek in his hand. Kenzie flinched, the coldness of his touch unexpected. 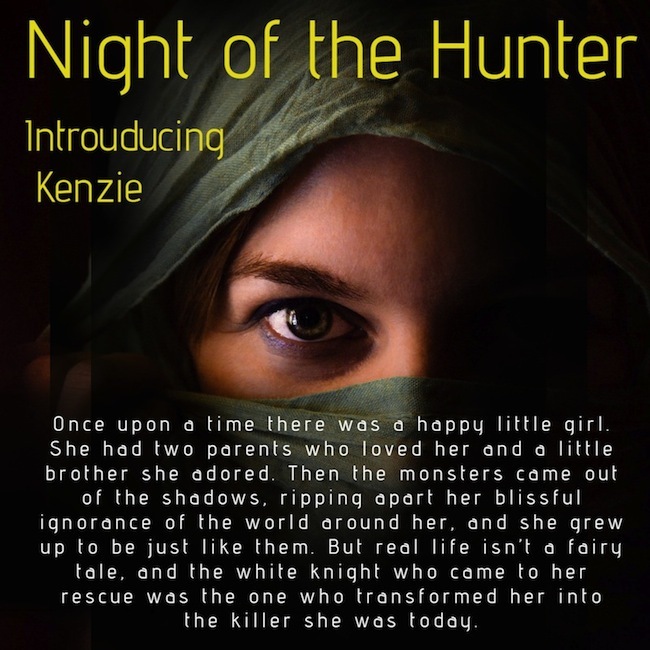 As he licked the blood from his finger, Kenzie saw a flash of fang and stumbled back. Something told her to run. Instinct screamed inside her mind. But as Kenzie glanced back at the body of her little brother, anger and hatred seeped into her marrow, and Kenzie Blake ceased to exist, replaced by a bringer of death and vengeance. The handsome man held out a hand, which she took, the sound of sirens wailing from outside as Kenzie left her old life behind. They slipped out the back door and hurried away from the estate. “What’s your name?” Kenzie asked the man who offered her vengeance. He gave her a cunning grin, one of great smugness. Kenzie shrank back against the wall in horror as the man snarled, his fangs elongating and ripping into his wrist. Kenzie knew she had made a mistake, and there would be no going back now. Quick as lightning, he clasped the back of her head and shoved her lips against his wound. His other hand wrapped wound her neck and worked her throat so she had little choice but to swallow, her eyes wide in fear. Stepping back, her new acquaintance stared at her as if he were waiting for her to react. Fire erupted in the pit of her stomach and Kenzie screamed as the pain intensified until she buckled under the weight of it. The last thing Kenzie remembered before she sank into the pitch black was cool lips on her forehead as the stranger murmured another woman’s name—a name that would haunt her for years to come. Susan Harris is a writer from Cork in Ireland. An avid reader, she quickly grew to love books in the supernatural/fantasy and Dystopian genre. She writes books for young adults and adults alike. When she is not writing or reading, she loves music, oriental cultures, tattoos, creepy snow globes, DC shoes, stationary, anything Disney, Marvel movies, psychology and far too many TV shows. If she wasn't a writer, she would love to be a FBI profiler or a PA for Dave Grohl or Jared Leto.